The boyhood home of US President Donald Trump is available to rent on Airbnb - and it's furnished with a life-size cardboard cut-out of the man himself. 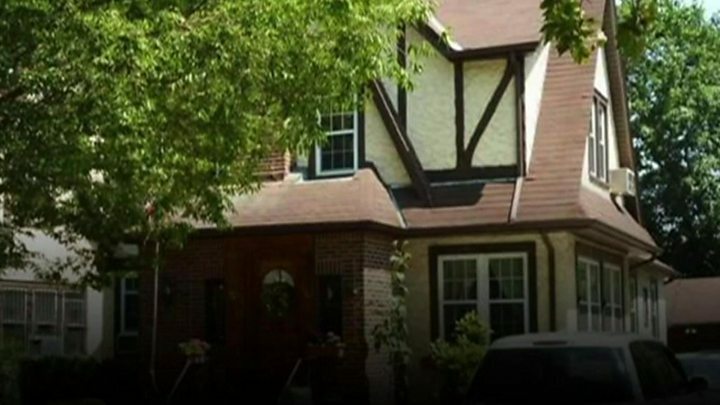 For a cost of $777 (£615) a night, the "opulent" home in Queens, New York City, can sleep up to 20 people. "This is a unique and special opportunity to stay in the home of a sitting president," reads the Airbnb rental advertisement. The Tudor-style home sold for $2.14m two months after Mr Trump's election. Should Airbnb ban customers it disagrees with? The listing is not affiliated with Mr Trump or the White House, the post's authors emphasise. The building, which is within walking distance of the subway, according the listing, contains five bedrooms and three-and-a-half bathrooms. "Not much has been changed since the Trumps lived here, the kitchen is original and the opulent furnishings represent the style and affluence in which the Trumps would have lived," the post says. There is a person living fulltime in one room of the house, and "there is a giant cut-out of Donald in the Living Room", it adds. "He is a great companion for watching Fox News late into the night." Pets and parties are banned, but breakfast is provided. The house was built by Mr Trump's father, developer Fred Trump, in 1940 and is listed on Mr Trump's birth certificate. It was the future-president's former home until the age of four, when the Trump family moved into a larger brick mansion nearby. Last September, Mr Trump told late night TV comedian Jimmy Fallon that he wanted to buy back the home, which shortly afterward was withdrawn from sale. 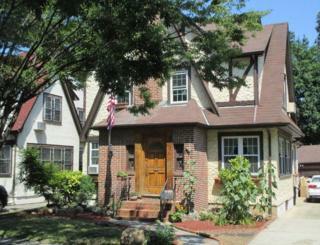 It was flipped by a developer for $2.14m in March, having sold the previous December for $1.39m.